As a real estate agent, you live to match people with their perfect home. That’s why you need an insurance policy that gives you the tailored real estate agent insurance coverage your business needs. Whether you’re showing properties for rent or for sale, you need coverage that protects you every step of the way. At Next Insurance, we know how hard you work, and how much effort goes into every listing you have. From the time it takes to advertise your listings to the moment you close the sale, a lot of time and energy goes into everything you do to get your customers into their homes. We know you want the right real estate insurance coverage, but you don’t want to have to pay for coverage you don’t need. We make it easy for you to get great insurance coverage, while giving you simple, affordable and tailored coverage plans that will suit your needs. You even have the ability to pay when it works for you. Choose your real estate insurance coverage plan, and decide when you want to pay: monthly, or annually. Whichever works best for you. 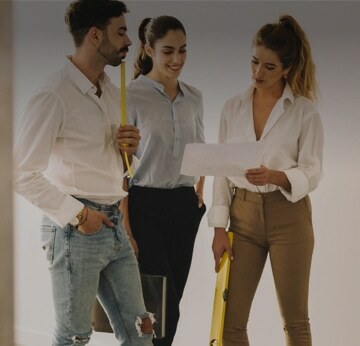 Our policies we create at Next Insurance are unique, so that you get what you need, while keeping real estate agent insurance overhead costs low, so you can focus on growing your business. Get simple, affordable and tailored real estate agent insurance in less than 10 minutes, online. Why Do I Need Real Estate Agent Insurance? Next time you present to new clients, you’ll have an edge: proof of insurance. Real estate agent insurance is your key to protecting your business. You work hard for every showing and sale you make, and having general liability real estate agent insurance allows you to do your best work, focus on new listings or open houses, as a hardworking real estate agent. We make real estate agent insurance accessible with our simple, affordable, and tailored approach. Our Live Certificate is easy to share with any potential client, on any device. It’s instant, and it shows you’re serious about what you do. When you have real estate agent insurance, your clients see that you take your work seriously, and they may even be more inclined to hire you. Plus, it might give you an added advantage over other real estate agents to prove to potential clients that you’re insured, from the moment you show them property. Why Choose Next Insurance for Real Estate Agent Coverage? From affordable prices to customizable and tailored coverage, we have so many options for policies that will suit you as a real estate agent. We keep things easy to access by putting almost everything online for you, 24/7. If you ever need our personal service, we’re simply an email or phone call away. Get your tailored real estate quote in minutes! "Received proof of insurance very quickly, Just what I needed. Thank You"
"I am very pleased to be a Next client, great prices!!" "Ray from Next Ins was great, he helped us get going with COI's for our business. We Would definitely buy insurance from Next again!!!"